Wow! Makes me even more proud to be Kapampangan :) Thanks for all your features on Angeles and San Fernando! You're considered an idol of many in my hometown for bringing pride to Pinoys and Pinoy lovers everywhere. ginutom mo na naman ako! Mr. Ivan, kelan ka ulit punta sa Saipan? Well, that looks much more fun than looking at hot air balloons! 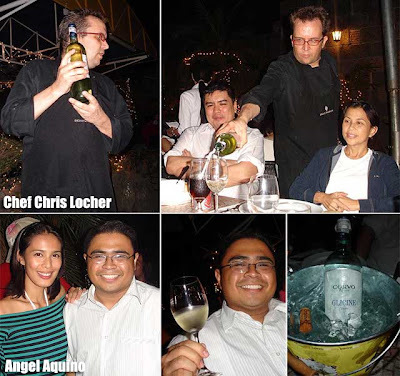 interesting...the best italian resto in the philippines...food looks really yum! well. I've been there all i can say is the food is superb, but the chef itself was not a nice person....I've heard he's saying bad words!! i think he's such a fake.!! I went Aclay's in Sagada several years ago for my birthday. We ordered our food 24 hours in advance to make sure they could order the chicken and have it prepared for my wife and I the evening of my birthday. We sat down to dinner and anticipated a great meal, only to be disappointed and the time it was taking to deliver our food. Finally someone came up to our table and apologized that one of the wait staff had accidentially delivered our food to another table and the other table had already eaten half of it. They said they did not have any more chicken and to come back the following day. Perhaps this chef should stay in Sagada and continue to train his staff on how a restaurant works. No alternative meal was offered, no compensation or free drink as a way to save their face. Nothing. Just sorry, you can leave now, why are you still here. thank you bye bye. hi ivan. my family has been trying to contact c' italian to make a reservation, but the numbers on your blog don't seem to work. a search on google returned similar results. do you have a different set of contact numbers for them? thank you so much. I just checked their recent magazine ad and the numbers are still the same. Did you use the area code (045)? 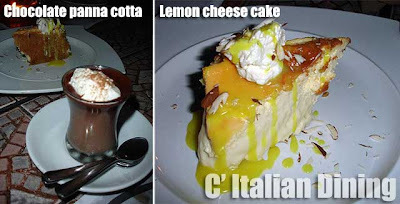 This is really interesting, Italian food is my favorite cuisine.. 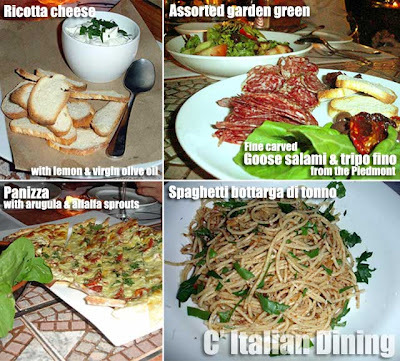 I tried an italian restaurant in Davao City called Spirals. This restaurant was near the airport. 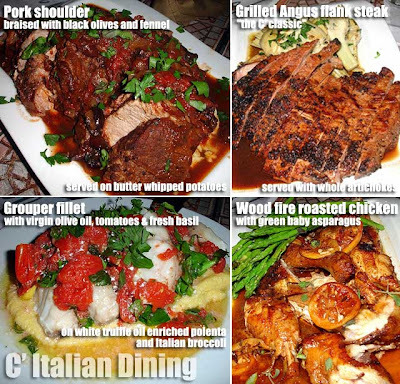 Iwas absolutely the best Italian food I have ever tried in my life. You might want to research and check that out as well =) I cant really remember what I ordered but it was some sort of Pasta with Salmon and truffle oil. My mistake, the restaurant in Davao city is called Spirale Ristorante.